Miss Day 1? Read it here. I went to bed at 7:30, woke up at 9:00, and woke up again around midnight. At last, I figured I probably wasn’t going to sleep any more that night, so I stayed up, opting instead to text people back home. Being that it was the middle of the day there, it totally worked. I got the opportunity to FaceTime my mom as well as my best friend, who was on her lunch break. 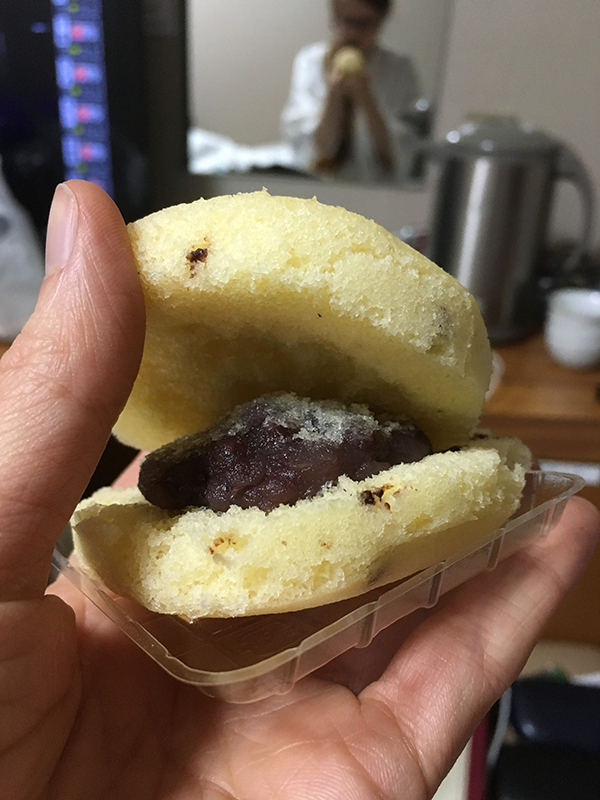 My friend gave me wonderful, practical advice based on her own experiences going through the same thing – she has lived in China, Guatemala, and Costa Rica, and traveled all over the world. She recommended an app called Maps.me, which works even without Wi-Fi, and I came to rely on that while I was out. You download the maps you need while you’re connected to Wi-Fi, and then you can use it to keep from getting lost. It uses your location to show you where you are – my theory is that it’s based on cell towers and Wi-Fi signals around you. SO HELPFUL. Meanwhile, I realized I hadn’t taken a selfie since the train. Naturally, I bore my “I’m freaking out inside; please save me” face. Not wanting to worry people, I put on my “okay, I need to at least look like I’m sort of happy because I am but I’m scared” face. I wanted to post both of these here to show that the lives we post on the internet tend to be sculpted to an image we want to portray. When I shared about these events later, I felt better, so I only posted the second photo. 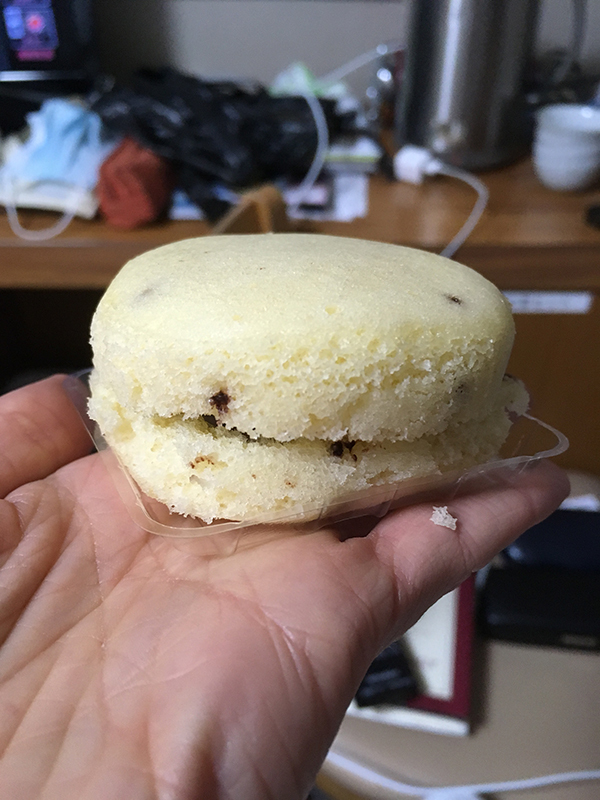 This pastry is called a kawasaki. 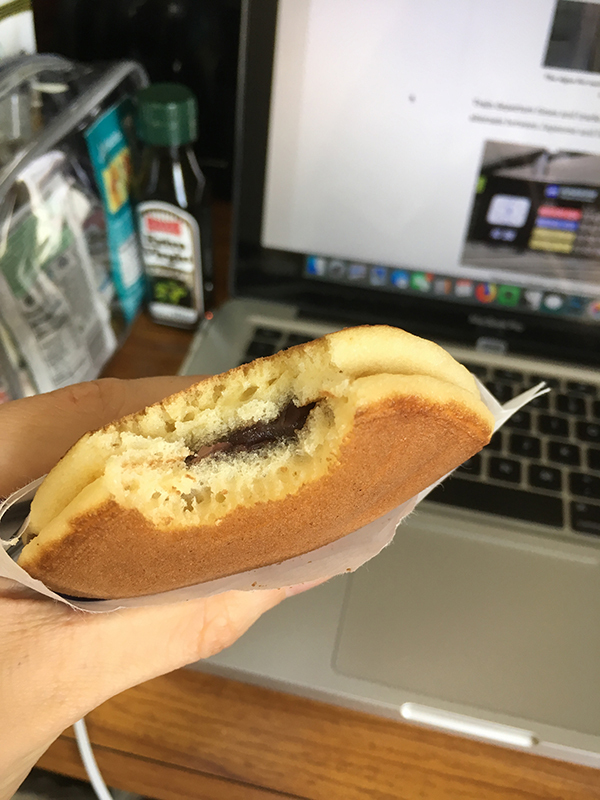 It’s like a dorayaki, but with sponge cake rather than pancake. 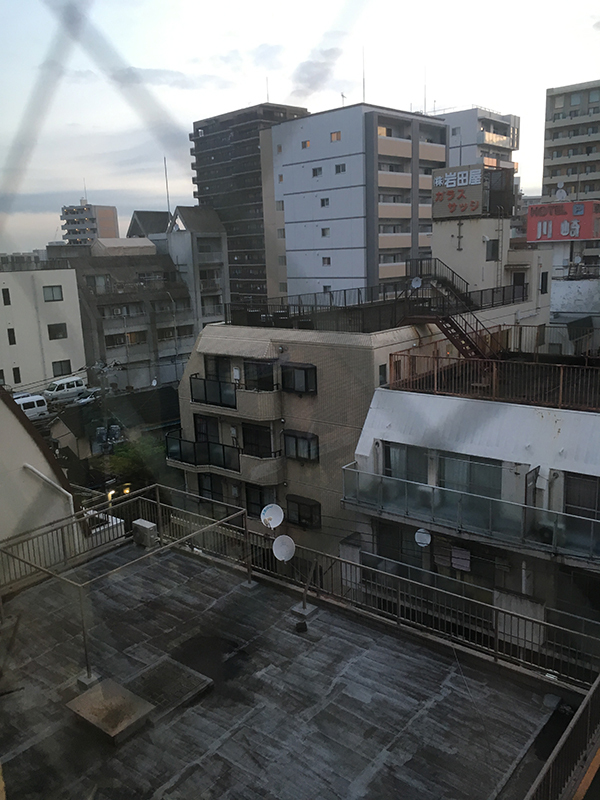 As time went on, I mapped out places on Maps.me and took photos of street views on Google Maps so that I would know what to look for when I ventured out again. 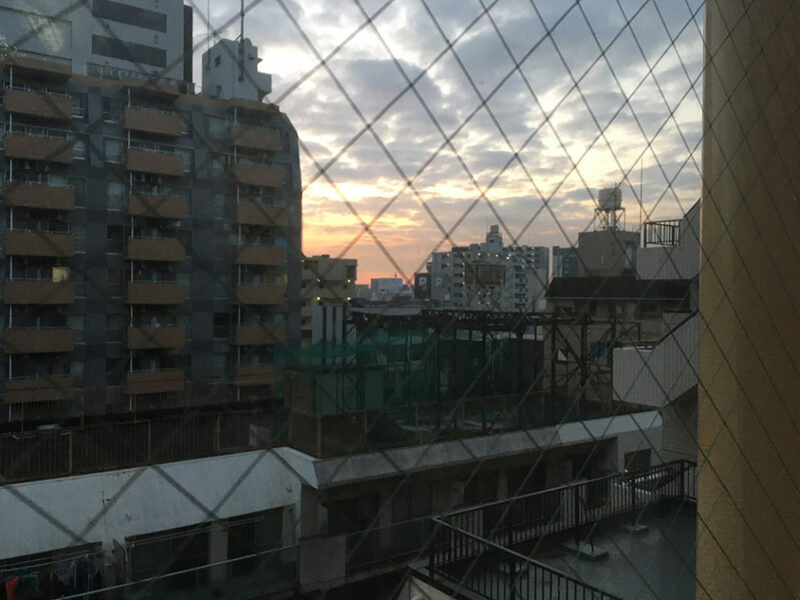 As the sun rose and breakfast time approached, I decided that my first breakfast in Japan would be my hurdle of the day. Gathering my courage, I went down to the first floor and got a tray. 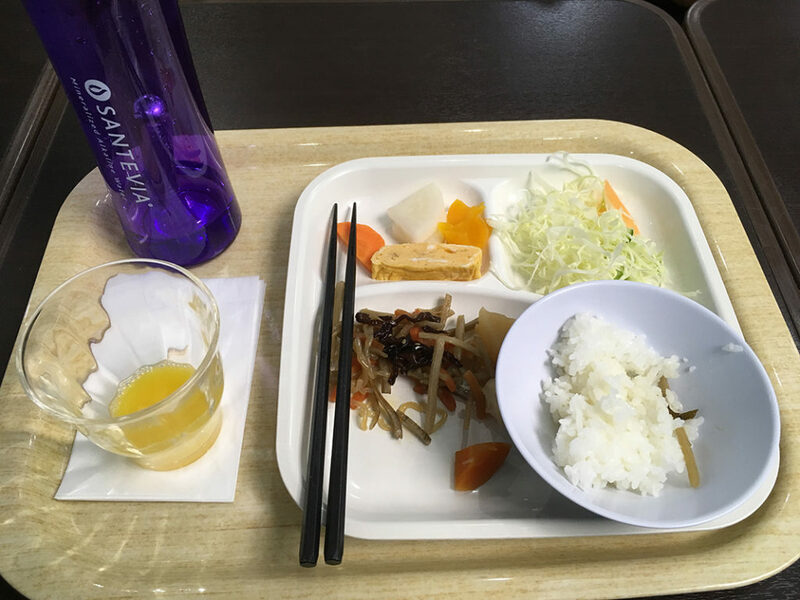 I struggled to eat, thanks to my nervous stomach. The two things that gave me no trouble? Orange juice and plain salad. Orange juice even became my comfort drink for the whole trip, even though I never drink it at home! 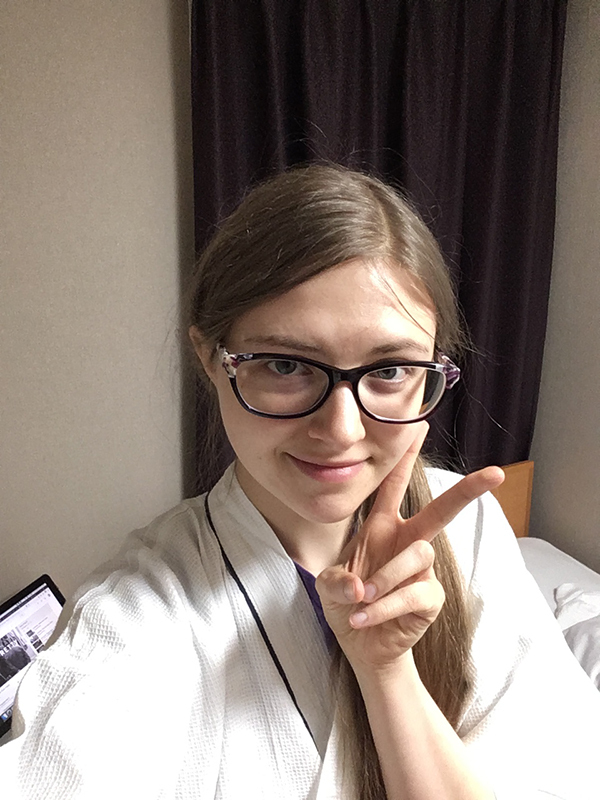 The rest of the day, I remained safely in my hotel. But the next day, I made even more progress! I conquered breakfast easier that day. 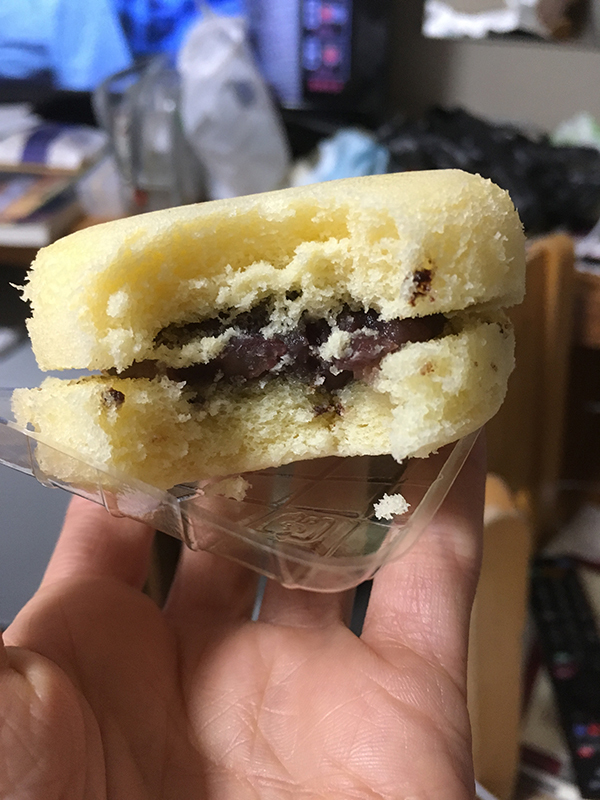 Then, knowing I needed more than the snacks I had for lunch and dinner, I steeled myself and ventured out for the first time to the Lawson’s two blocks down the street. See the black square at the end of the pink highlighted line? 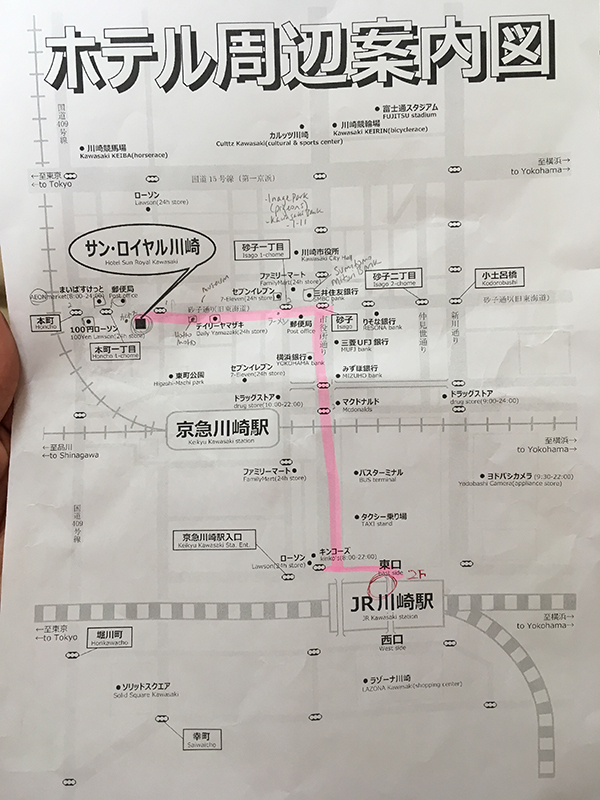 That’s Hotel Sun Royal Kawasaki (where I got this lovely map in the first place). 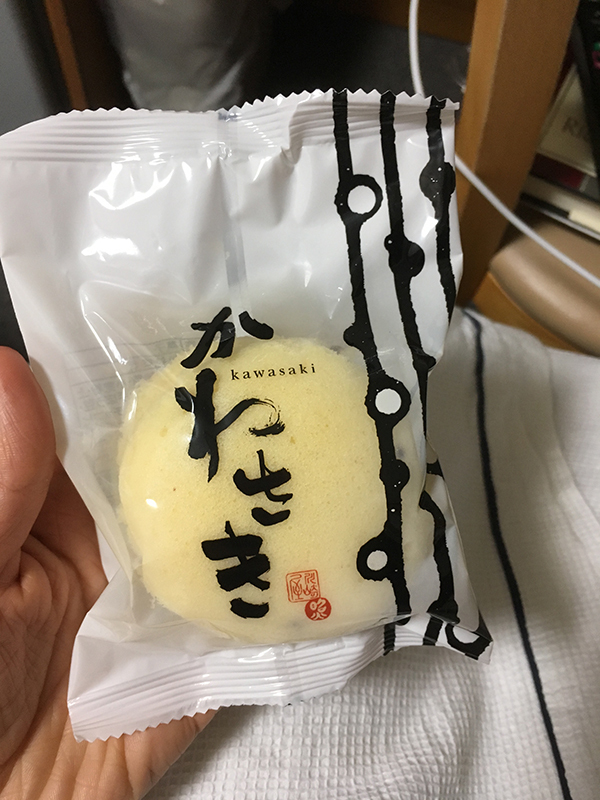 To the left, you can see where I circled the black dot denoting “100 yen Lawson’s”. 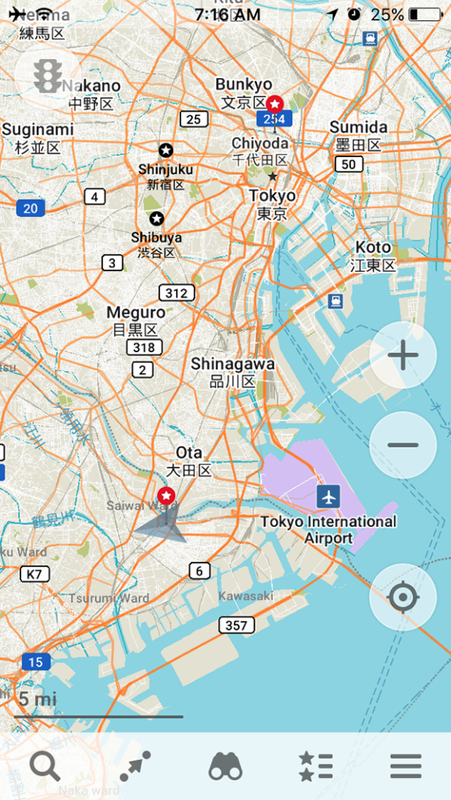 In Japan, it’s far more common to use maps that make use of landmarks rather than roads, because most roads aren’t even named. That’s great if you navigate by landmarks like me, but it’s still nearly impossible if you don’t know what landmarks you’re looking for! All of that cost ¥1495, approximately $14 USD. So cheap! 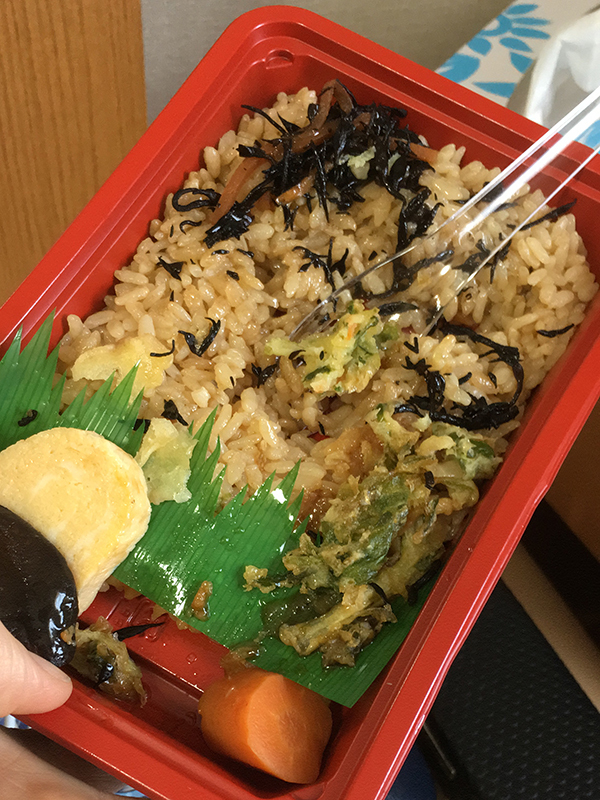 Not long after, I decided to eat that bento. Because I had snacks with me, I saved part of it for dinner. After a little while, I made my way back outside. The goal was to find my way to the station and back, so I wouldn’t get lost next time. Imagine my surprise when I not only located the station, but also went inside and bought things! I was excited to see this so I took a photo of it for future reference. 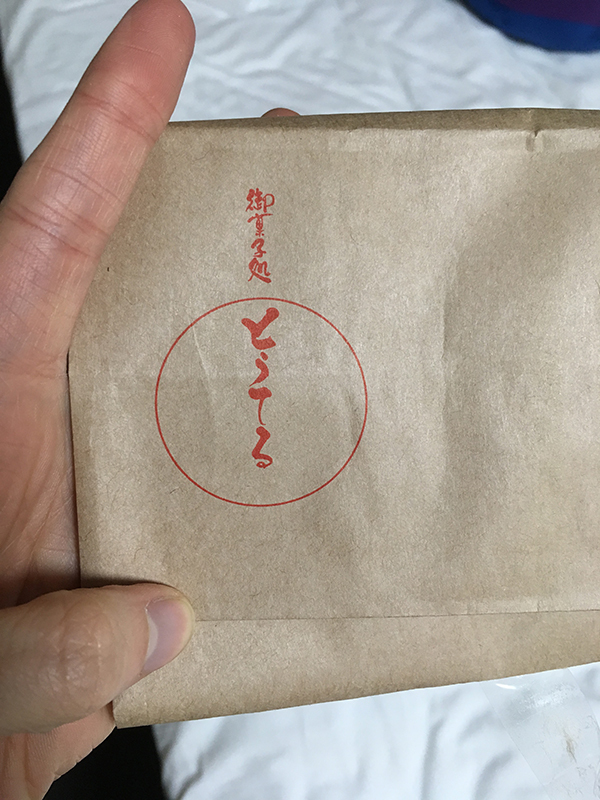 It’s soba (buckwheat) noodles made with 100% buckwheat, which is super rare!! 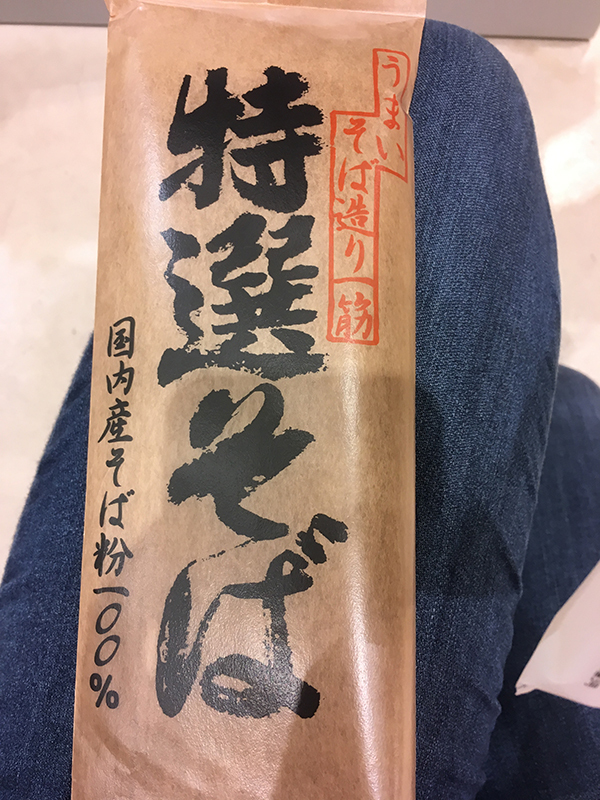 Normally soba is made from a blend of buckwheat and wheat, making it cheaper and easier to work with. I’ve heard that one who can make good soba noodles without using any wheat is an extremely skilled maker indeed! 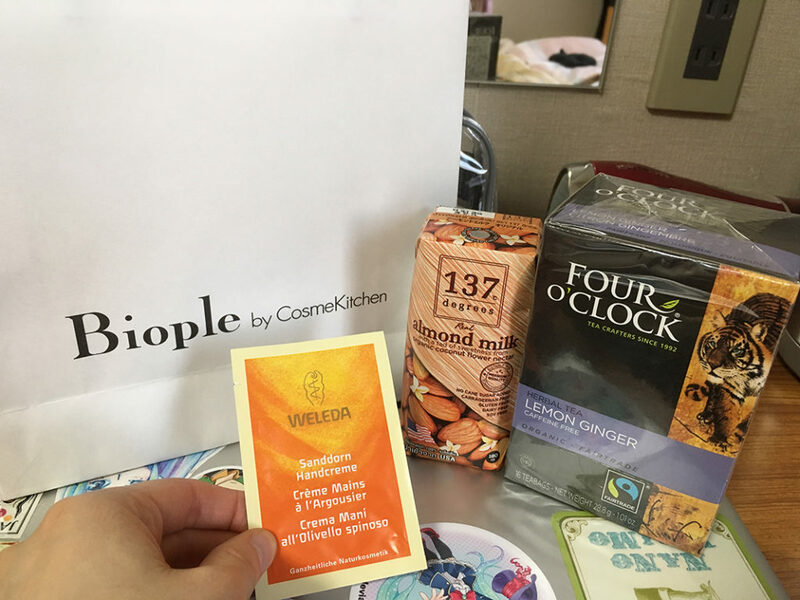 Here’s the sum of what I bought at Biople – definitely pricier per item than what was in my Lawson’s haul! 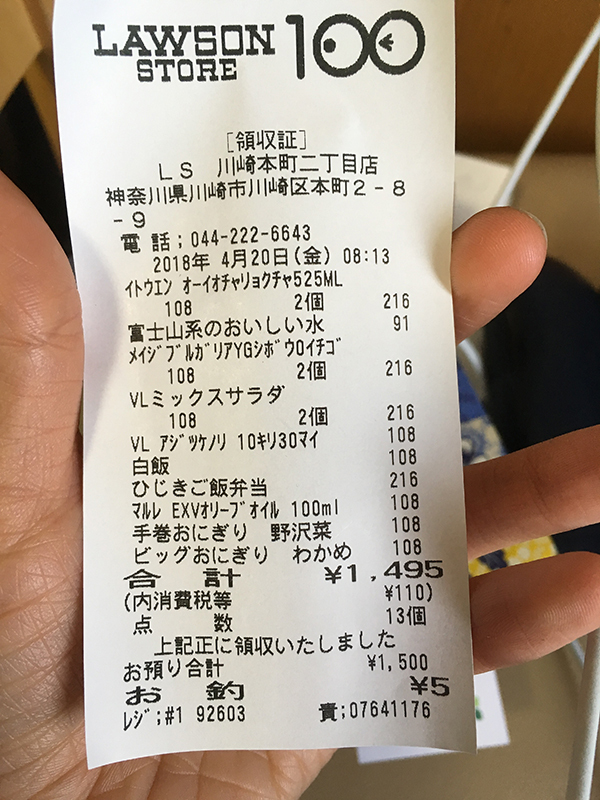 The almond milk was ¥160 and the tea was ¥720. 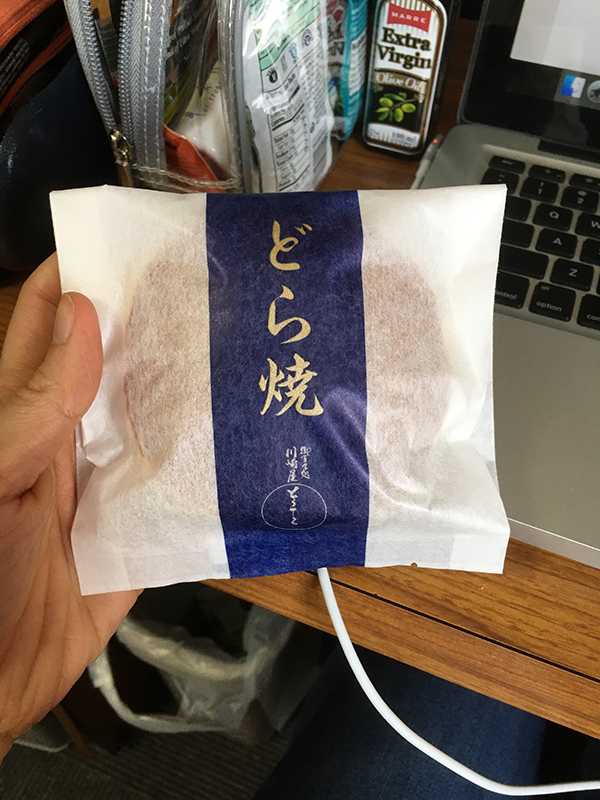 Time to eat my dorayaki. The sweets shop it came from is called Tohteru. By the end of the day, I was feeling accomplished. 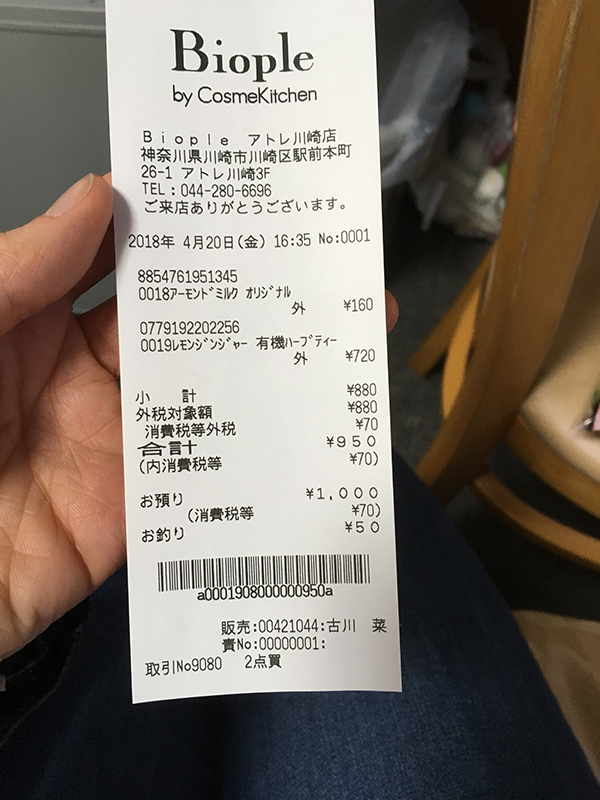 But I knew that the real test would come the following day, when I planned to visit the cultural museum the deputy mayor had shown me on my first day in Japan. 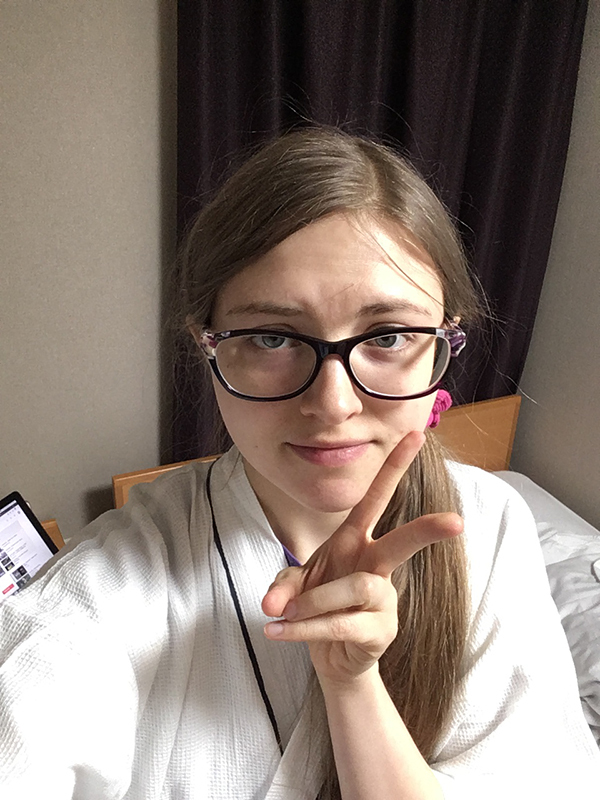 Japan Trip 2018 Day 1: What Was I Thinking! ?